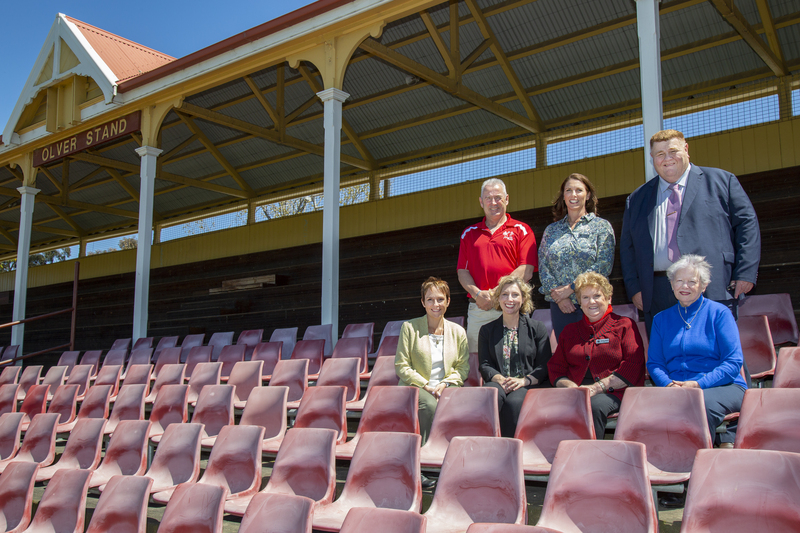 Alexandra Oval's Olver Grandstand and surrounds will get an upgrade thanks to the Andrews Government and Ararat Rural City Council. Minister for Regional Development, Jaala Pulford visited Alexandra Oval on Friday to announce a $500,000 grant towards the Ararat on the Move – Event and Visitor Space Project. The funding, along with $377,000 from Ararat Rural City Council, will see new terraced seating at the oval to maximise capacity and viewing opportunities, level grassed and compacted gravel areas for marquees and pop up activities, a formalised car parking area, and improvements in the Olver Grandstand including weather protection for spectators. Ararat Rural City Council Mayor, Cr Gwenda Allgood said the funding would allow new event infrastructure to attract more festivals, sporting events and visitors to Ararat – boosting jobs and local businesses. "What an exciting announcement by Minister Pulford," she said. "On behalf of Ararat Rural City Council, thank-you to Regional Development Victoria for contributing funding towards this project as an integral part of the overall Alexandra Oval Precinct Master Plan Project. "This redevelopment has been identified by the community as a high priority. Today’s funding announcement will help contribute towards activating this eastern side of the Olver Grandstand by making much needed improvements to the seating area. "This will grow our capacity for events – both locally and regionally – and improve spectator comfort on game days throughout winter by increasing the level of undercover shelter." The redevelopment of Alexandra Oval as a site for major events continues to energise Ararat and bring significant flow on effects for local businesses. Minister Pulford said the $500,000 grant was from the Labor Government’s $500 million Regional Jobs and Infrastructure Fund, which is investing in projects that make regional Victoria a better place to live, work and do business. "I am thrilled to be here in Ararat today to announce this funding, which will really help put Ararat on the map for events and festivals going forward,” she said. “Ararat is definitely on the move. Recently the new Arts Precinct was unveiled and now we are working to ensure Alexandra Oval is a premier regional sporting and events precinct.